Everyone thinks they are an expert on climate change, but some of us know more than others. That’s why, in order to find out more about how solar power actually impacts the world around us, we tracked down Caroline Clevenger, an Associate Professor and Assistant Director of Construction Engineering and Management at the University of Colorado Denver for a Q&A session. Clevenger works in the College of Engineering and Applied Science and the Department of Civil Engineering. She’s an expert in energy efficient buildings and sustainability. We started by asking her to talk about the relationship between solar energy and climate change. How does climate change impact residential areas? Well, there's been a lot of talk in the industry just from a very practical point of view. Climate change is at least correlated with - not necessarily causal, but correlated with - more intense weather events. Therefore, individuals will not only be inconvenienced by more frequent and intense weather events, but their insurance premiums and other potentially negative impacts and risks to their own dwelling has increased due to climate change. How much do residential neighborhoods contribute to climate change? The exact number doesn’t really matter -- what is important is that residential is a major contributor to climate change. 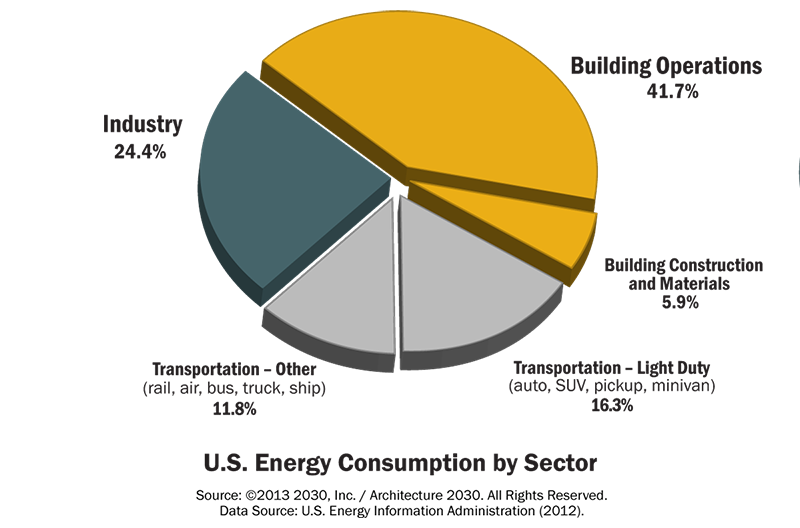 The building sector [all buildings combined], represent one of the largest contributors to climate change. So they have a major impact. And residential represents about half of the buildings - bigger than you think. Even though each residential building is smaller, there are a lot of them. What can residential areas do to reduce climate change? 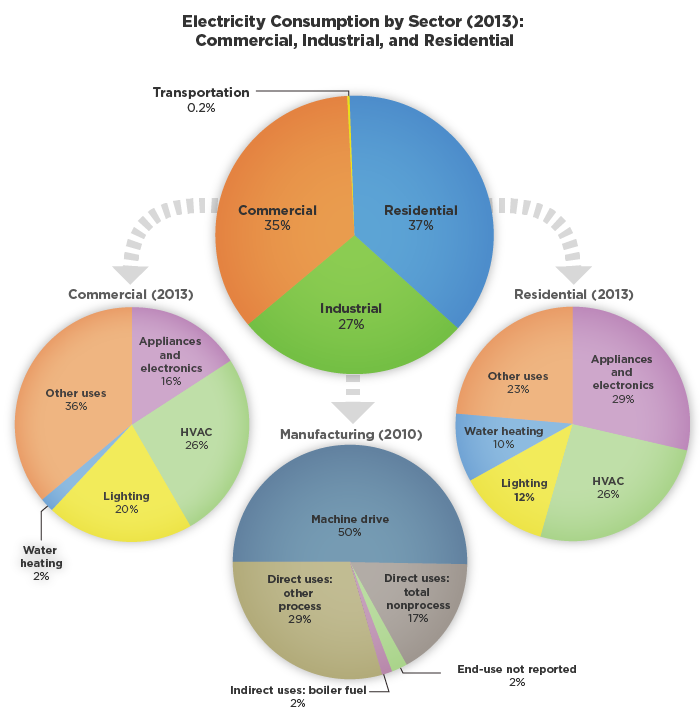 Residential is a significant contributor to climate change in aggregate. So one of the things we teach is to reduce your overall consumption before you green your production. Getting things like more energy efficient refrigerators is as good for climate change as putting solar panels on the roof. Any time we get cleaner energy generation it is better for climate change. We also need to reduce our waste - our food waste and our consumptive waste. There's a lot that we can do... if we just more efficiently consume. There are numbers like 40 percent of our food is wasted. What are the benefits of residential solar energy? The good news about solar panels, it's relatively low cost and maintenance free. You may need to clean them every once in a while to make sure there's no dust. Plus, you're getting free real estate when you put solar panels on the roof. The advantage of distributed energy generation is that you get a lot of real estate for free because each person is essentially donating or allowing their roof to be used for this generation. How does rooftop solar compare to a sustainable energy grid system, like a solar farm, for residential areas? So the question is, is it better to make one bigger farm or lots of little rooftop panels? There’s room for both. The real answer is it depends on several things: how far do you actually have to transmit the electricity and what is your solar resource, meaning some climates are better for solar than others. It also depends on your building orientation to ensure you're getting maximum efficiency out of any given solar panel. There's also discussion about whether putting them on the ground or rooftops is a better use of land. Are there any significant differences in costs for either of these systems? It depends, I think there's some cost savings with the larger scale just because you've got some form of scale savings, and you also get some labor savings because it's easier to put in one big system versus a bunch of smaller rooftops. On the other hand, people like having solar panels on their roof. They like the idea of either owning or leasing their own energy production. So there are some quantities of scale savings in the installation of a large solar farm certainly, but people don't feel as emotionally connected to it. Why do you think more people don’t switch? First, people are busy. It's not on their to-do list. Secondly different cost scenarios work for some people and not for others. Time and cost are real impediments here. People's individual time and how solar fits into their financial strategy is typically why people don’t make the switch. In short, Clevenger notes that residential areas contribute a significant amount to climate change. Opportunities for residential areas to reduce the effects of climate change are substantial, by reducing waste, using efficient appliances, and switching to solar energy. In addition, residential solar provides a purpose for unused roof space and reduces the need for ground space where green plants can grow and rooftop solar can provide a sense of fulfillment and virtue for homeowners. Interested in going solar with Sunrun? Learn more about pricing, savings, and more here.